We’d love your help. Let us know what’s wrong with this preview of Journal of A Diva by Dia Patrece Robinson. Who would have thought that during the middle of a dangerous mission that our lovable Diva would encounter love? Join her as she recounts those inmates moments that brought her and the man of her dreams together, which changed the course of her life forever. This is a spin-off story about Dia Robinson and Cannon who are characters in H.P. Mallory’s Dulcie Who would have thought that during the middle of a dangerous mission that our lovable Diva would encounter love? Join her as she recounts those inmates moments that brought her and the man of her dreams together, which changed the course of her life forever. To ask other readers questions about Journal of A Diva, please sign up. This is a spin-off from the Dulcie series. Dia Robinson was a friend of both Dulcie and her boyfriend who helped them out whenever they needed it. The story is from the point of view of Dia and is a continuation of the story which had been occupying the last several novels in the Dulcie series. It is short but still gives a decent look at Dia and what and who she is doing. Being a diva is not easy. If you enjoyed Dulcie then you are going to enjoy hearing about our resident diva. 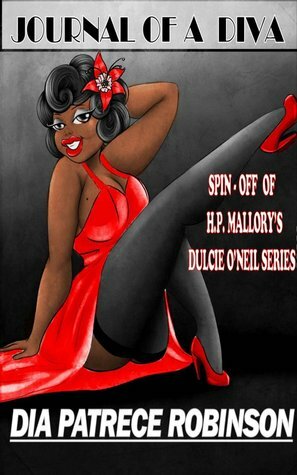 Dia is a live on This is a spin-off from the Dulcie series. Dia Robinson was a friend of both Dulcie and her boyfriend who helped them out whenever they needed it. The story is from the point of view of Dia and is a continuation of the story which had been occupying the last several novels in the Dulcie series. It is short but still gives a decent look at Dia and what and who she is doing. Being a diva is not easy. short story but well written... really enjoyed reading Dia's story. Three years ago, I embarked on a journey that would take me to faraway places, bringing tears down to my soul and basking in the light of eternal sunshine. What journey is this you ask? It is called creativity!! Wow! Now, that I have gotten your attention, let me tell you a little bit about me. 1#I love all things red. Yes, I said red. What's wrong with red? If you don't' like it well get over it. 2 Three years ago, I embarked on a journey that would take me to faraway places, bringing tears down to my soul and basking in the light of eternal sunshine. What journey is this you ask? It is called creativity! !